ISS, Inc., has experience with every nuclear medicine system being used in the U.S. today, and can provide physicist surveys of the systems, which are a requirement of the American College of Radiology. ISS, Inc., is qualified to audit nuclear medicine facilities on quarterly, semi-annual and annual inspections. We also provide calibration services and sealed source tests. When purchasing new equipment, it is important to ensure that it is functioning according to the manufacturer’s specifications and your expectations. Acceptance testing is also required by the American College of Radiology for systems which are going to be accredited. We are able to provide full acceptance testing packages for any newly installed imaging system with complete reports within 3 days. The use of radioactive materials requires a license from the appropriate regulatory body, either state or federal. 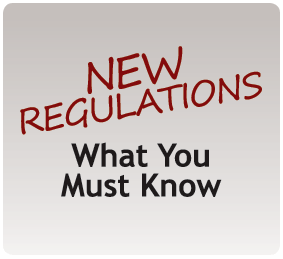 We are able to complete the necessary forms and letters for new licenses as well those required for amendments and renewals for existing licenses. Audits of nuclear medicine facilities by outside experts help ensure compliance with the complex regulatory requirements under which users of radioactive materials must work. We provide quarterly, semi-annual or annual inspections, calibration services and sealed source tests which are required by all licenses. 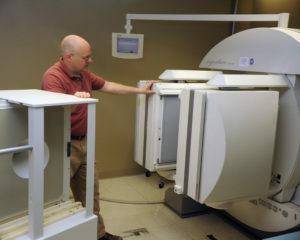 Physicist surveys of nuclear medicine imaging systems are required on an annual basis for those systems accredited by the American College of Radiology. We provide assistance in completing the application for ACR accreditation. This includes help scanning the accreditation phantom, completing the data forms, and providing physicist inspection reports required by ACR for accreditation.